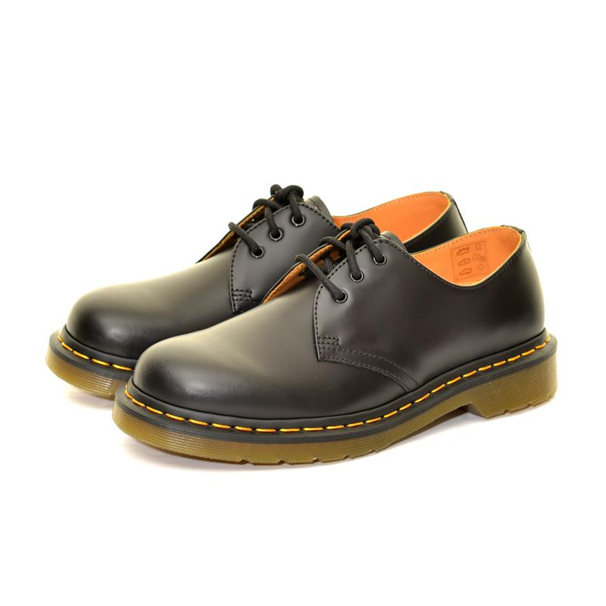 Why everyone should wear a pair of Dr Martens – What It Is? Yes, there is a breaking-in period which is unavoidable but once you’ve broken them in and the boots or shoes have moulded to the shape of your feet, they will feel like they were custom-made for you. Such is the comfort, protection and sturdiness of the footwear that you might even find you’re walking further than you did before – which is got to be a good thing, right? If you’ve suffered with blisters, corns, in-grown toenails and calluses etc, you’ll understand the need for a pair of shoes that makes your feet smile again. The boots and shoes are roomy, meaning plenty of stretching space for your previously squished up toes. The famous AirWair tag also means you’re getting a cushioned sole for tired heels and the balls of your feet. They hold your foot in a protective hug and give you back your freedom and confidence. Yes, they’ve been associated with many popular cultures over the last sixty years, but they’ve stood the test of time and come through them all unscathed. They remain solid, working boots as universal and adaptable as a pair of denim jeans. A stalwart of the fashion world and never a victim of shifting fads. They do the job they are intended for and they do it excellently. That’s not to say they don’t come in a wide variety of colours and patterns, they do. You won’t find any gimmicks like flashing lights, but you can get them in every colour of the rainbow and even with some amazing artwork on them. Many people even customise their own and the brand has long been associated with rebellion and self-expression after all. From police officers to postmen, punks to grungers and students to factory workers, the working-class boot has protected our feet for the last sixty years and will continue to do so for a long time to come.